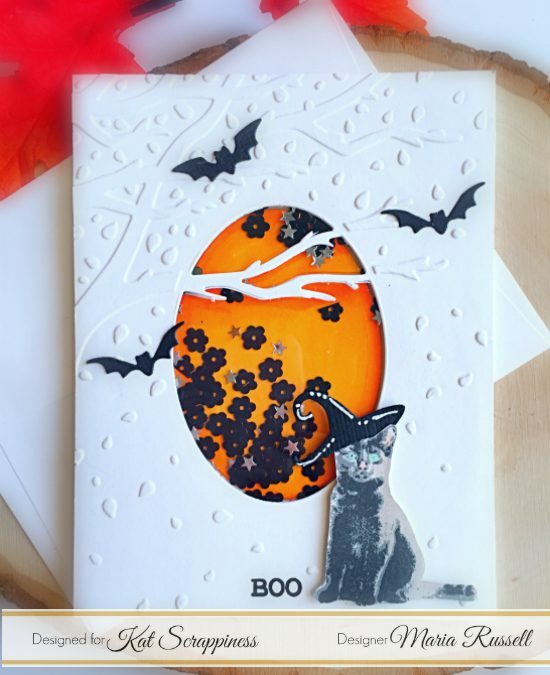 Fall is my favorite season and it is that time of the year when I start creating Halloween cards to send to my friends. Is orange the new pink during Halloween? haha! 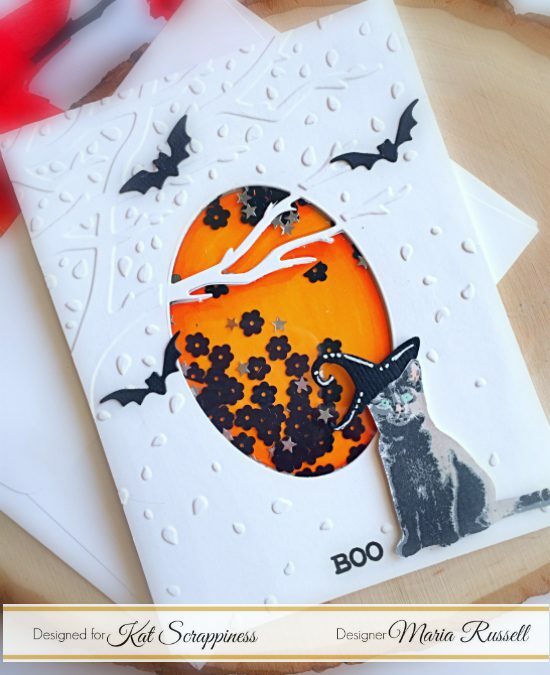 I’m back today with this very simple Halloween shaker card, showcasing the Toil & Trouble stamp set with matching dies. This stamp set was released last year but they are still available at the shop. I started out by stamping my cat image on some white card stock using shades of gray and black inks. Even though this image has a coordinating die, I went ahead to fussy-cut the image. I die-cut and dry-embossed some white card stock with an embossing folder from my stash. The middle part cuts out so I colored those pieces with my Copic markers. 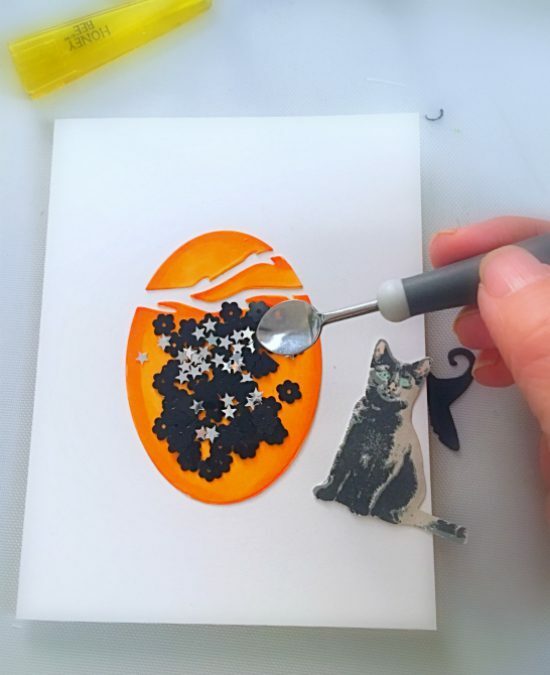 I adhered this piece onto my card base, and added some 6 mm Black Flat Flower Sequins and Metallic Silver Solid Star Confetti with my Nuvo Craft Spoon. I adhered some acetate and added foam adhesive to create my shaker well. I adhered my embossed card panel onto my card base. I love the simplicity of this card. I also used my white gel pen to add some details to the witches hat. I love how this card turned out. I hope you like my project today. Please don’t forget to use my coupon code “MARIA10” for 10% off your order at the shop. I would also be very grateful if you could click on the items I listed below to purchase the products I used today. Have a wonderful day and happy crafting! Maria, wonderful card. 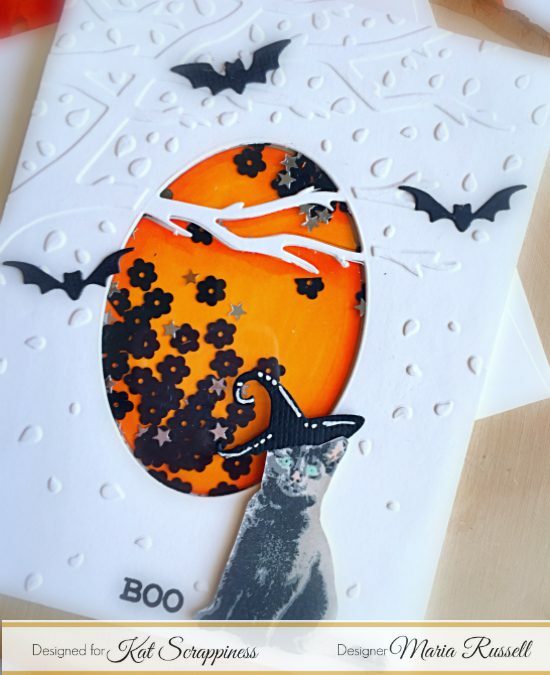 Like the detail you added with the embossing and bats and love the sequin mix.